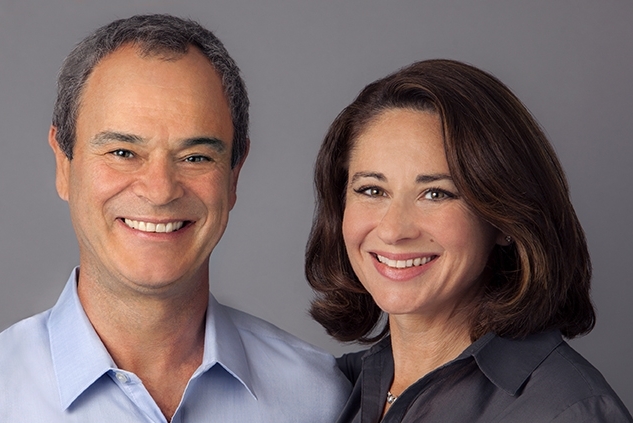 Pascal and Ana Forest are experienced, insightful, careful listeners, who will always give you a straight answer. Working as a team, Ana & Pascal offer their clients twice as much attention and service. They consistently provide thoughtful, creative guidance, and are sticklers for thorough and timely communication. Pascal grew up in France, in the beautiful alpine region of Haute Savoie. He studied Economics at the University of Geneva, and after meeting Ana on holiday, he moved to Berkeley to start a life with her in the late 80's. Ana was born in New York City, and grew up mostly in the Bay Area, attended Berkeley public schools, and graduated from UC Berkeley in '87 earning a BA with Honors in Rhetoric. Her travel bug has taken her all over the world, and introduced her to many cultures and people. Pascal's energy, diverse knowledge, investing savvy, resourcefulness and persistence serve his clients very well. Ana's local heritage, business experience, and calm demeanor, make her the perfect complement for Pascal. Before joining Pascal in Real Estate, Ana spent years as a professional in sales, marketing, corporate communications, negotiations, budgeting and producing videos and events. Business Communications Coach, Director of Business Partnerships, Sales & Marketing Consultant, Multi-media Producer, Corporate Events Coordinator, Account Manager, Home Renovation and Development, Real Estate Investing (we own over 100 apartment units), English teacher, and (the most difficult/rewarding job) parents. Outside the Bay Area: The Alpes, France; Fuengirola, Spain; Munich, Germany; Geneva, Switzerland; Toronto, Ontario, Canada; New York, NY; Tucson, AZ; Minneapolis, MN. Ana & Pascal ski, hike, pick wild berries, make jam, pick mushrooms, read, cook, eat, collect ancient coins and antiquities, travel, sea kayak, attend auctions, listen to jazz and blues, hula-hoop, Camp KeeTov for 2 generations, Writers Coach Connection, Berkeley High Alumni, UC Berkeley Alumni, Swiss Expat Association, Ecole Bilingue de Berkleley parents, local neighborhood groups, NaNoWriMo participant, and more. We are BHS Lacrosse parents, BHS Jazz Band parents, and actively support extra-curricular programs. We enjoy hanging out with friends, our kids (now teens! ), and our dog, a floppy-eared German Shepherd mutt named "Zack".